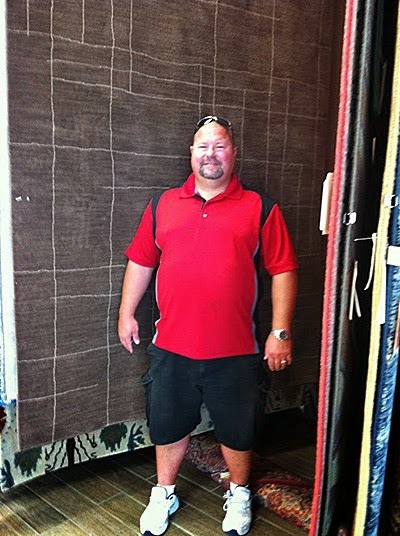 Our Indianapolis flooring store selected another lucky Rug-A-Month Giveaway recipient: Tom Thomson from Carmel, Indiana. Tom’s name was randomly selected via entry on Facebook. He’ll be putting the new area rug to good use under his pool table. We think it will be a perfect fit! If you’d like to try your luck at winning an area rug, sign up for our email newsletter (receive once-a-month tips, videos and exclusive sales) or LIKE us on Facebook. Be sure to type WIN on our wall with your phone number or email address to qualify. We select a new winner every month and will notify him/her by email or phone call. Congratulations to Tom, and all of our previous winners, from Kermans Flooring!